Nashville, TN – Governor Scott Walker is scheduled to speak the evening of Monday, February 23, at the opening session of the NRB 2015 International Christian Media Convention in Nashville, TN. 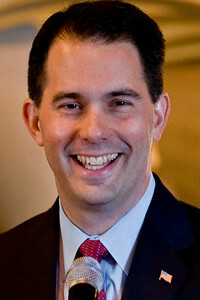 Governor Walker became Wisconsin’s 45th Governor in January 2011. Following his inauguration, he proposed reforms that eliminated the state’s $3.6 billion budget deficit without raising taxes and gave school districts and local governments the tools to balance their budgets. He also sought to cut taxes and grow jobs. Notably, in an annual survey by the state’s chamber of commerce, 95 percent said Wisconsin is headed in the right direction, and Chief Executive Magazine's ranking of the best state for business moved Wisconsin up from 41st in 2010 to 14th in 2014. Governor Walker grew up as the son of a pastor in the small Wisconsin town of Delavan. He is married to Tonette and they have two sons in college – Matt and Alex. They are active members of their church in Wauwatosa and remain involved with numerous charitable programs.